Just Romantic Suspense: Which Shade of Midnight are you? Which Shade of Midnight are you? Congratulations to "Janet K." and "Marcy C.", the winners in Robin and Claire's giveaway. Thank you to all who participated. That’s the question twelve authors are asking with a unique anthology titled TWELVE SHADES OF MIDNIGHT. New York Times Bestselling authors Liliana Hart, Darynda Jones and Robyn Peterman headline this talented group that explores paranormal romance in all its shades. From the blackest depths of evil to the playful wink of pink to the green hue of envy, these never-before-released novellas will propel readers through magical journeys sure to evoke a colorful spectrum of emotions. So what do two authors think about this amazing project? These two friends have known each other for what-feels-like forever, and this anthology is a dream come true. “We both write romantic suspense and we both love paranormal, so combining the two was a blast,” Robin says with a twinkle in her eye. In most writing genres, there is an essence of fate, with somewhat expected outcomes after each book. Romance readers expect a Happily Ever After. Mystery and Suspense expect the villain to get his comeuppance in the end and good will triumph. Science Fiction readers expect the heroes and heroines to save the world, planet, or starship. Fantasy readers expect creatures, magic and mayhem to be set to rights to return to a safer world. Paranormal readers expect strange or otherworldly entities or happenings to be dealt with and the hero and heroine to triumph. In real life, fate steps in to change our lives as well. In 1999, two writers met under auspicious circumstances. 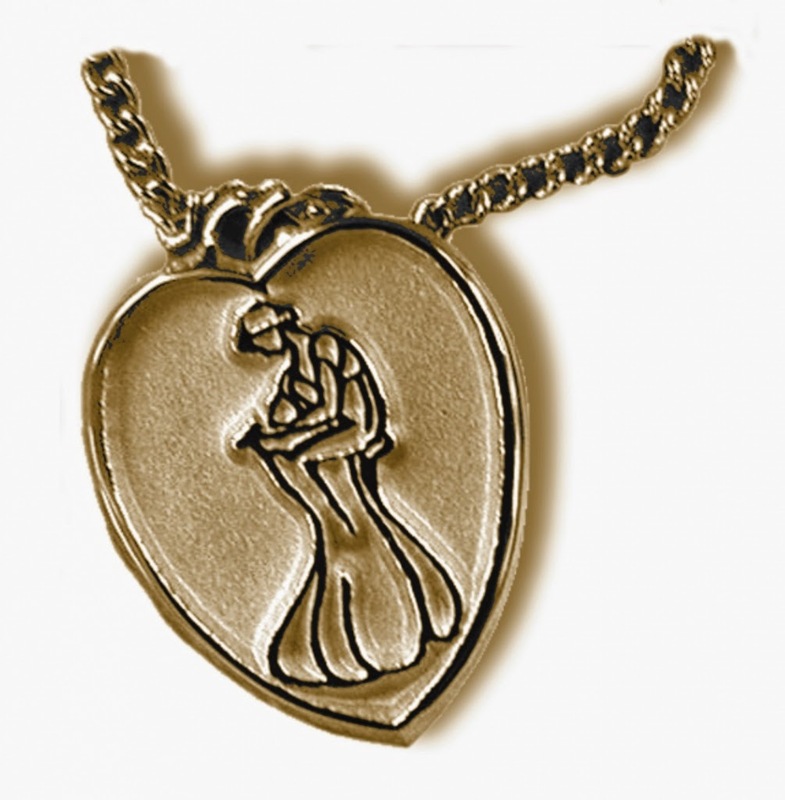 Both RWA Golden Heart Finalists (Claire in the Romantic Suspense category, Robin in the Paranormal category), they attended a conference in Chicago but had never met. That year, the classes offered for suspense writers were outstanding. The first class they sat on opposite sides of the room, barely taking note of each other, except for the fact that they were some of the few people who didn’t blanch at the bluntly stated statistics they were hearing. They walked separately down the hall to the next class on Forensics, a bit of curiosity building in someone who obviously shared their darker interests. By the fourth time this happened, Robin and Claire both suggested that they walk to the next class together. They sat in rapt attention in the front row through the crime scene photos and blood spatter mock ups, never once uttering the moaning heard from other participants. Which makes Twelve Shades of Midnight, a paranormal anthology the perfect fit for these two authors. A bit of fate, a bit of hope, and a lot of magic. Sometimes that’s the way the world works. TWELVE SHADES OF MIDNIGHT will be released the week of Halloween, when magic, mysticism, and midnight collide. Happy Reading Everyone!! Enter the world of the Dark Guardians. 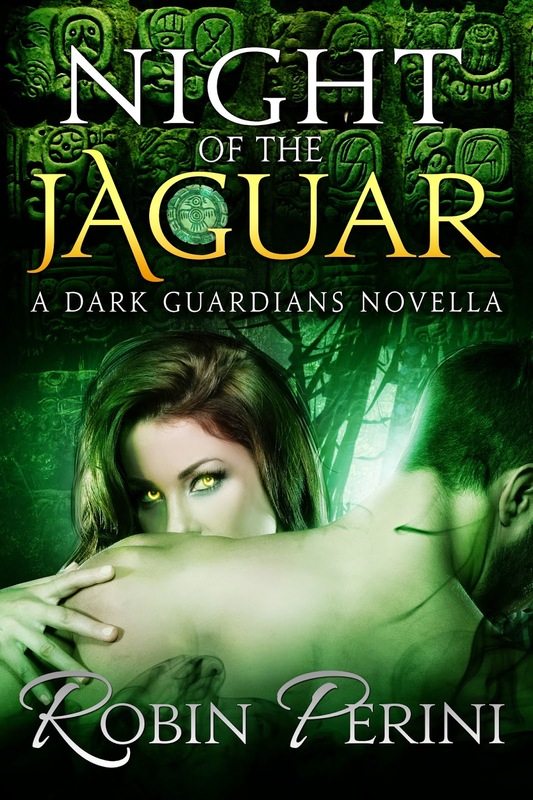 His destiny is to destroy all things dark, soulless and evil as a member of the Order of the Jaguar She has been infected with a virus that has changed her from human to something more…and her soul is at risk. Can a man born to kill her find a way to save her—or will he be forced into a choice that will destroy them both? In the first of the new SEAL Team Infinity Series, Navy SEAL Commander Alex “Ice Man” Winters vows to take down those responsible for killing half his team and turning him into a genetically-altered monster. Still, when an assassin strikes near his hideout, Alex can’t leave FBI Special Agent Samantha Gennaro to die…even if her missing father created the serum that altered his DNA. With only once chance to reclaim his humanity, Alex must trust her…even as betrayal stalks them from every turn. Alex cradled the woman tenderly in his arms as he trudged back through the snow to his hideout. 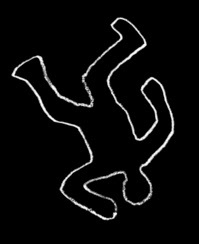 He’d wrapped her shattered head in his T-shirt and her bullet-riddled body in his jacket. From the amount of blood she’d lost, he doubted she’d last much longer. Pellets of snow whipped against his bare torso, but the cold didn’t bother him. Alex could let her die, which might be a godsend for both of them at this point. Or, he could share his tainted blood and risk turning her into another freakish creation like him. He doubted she’d thank him for that. Claire Cavanaugh is an award-winning writer and teacher and is published in short non-fiction. She is a three-time Romance Writers of America® Golden Heart® Finalist and Daphne Award winner for Paranormal Romantic Suspense. A popular speaker, she is known for finding compelling solutions to plot and characterization problems and has helped numerous authors across the country hone their skills and get their writing back on track. Several have gone on to hit the bestseller lists. A former bookseller, she currently freelances with Larsen-Pomada Literary Agency, assisting their clients and other writers with editing and story development. Midnight Renegade begins her new SEAL Team Infinity Series. Claire and Robin are giving away two prizes. One person will receive a $25 Gift Card (Amazon or B and N). The other person can choose an e-copy of your choice of Robin’s latest books, Game of Fear OR Secret Obsession. (If you want to wait until December 1, you could also choose Christmas Justice). So, dear readers, we’d love to hear about a time when fate took a hand in your life, or when the unexplained just took a hand… Leave your comment for a chance to win. This box set sounds amazing! What a fabulous collection of authors! They're fantastic, funny people, too, besides incredibly talented authors! Lots of fangirl moments for this writer! So glad you visited, Anita! Thanks Anita! We're VERY excited about it! Thanks for stopping by! It was a blast to do. All the novellas and novels (the stories range from 20,000 to 50,000 words) are brand new. We're very excited about it. Thanks so much for stopping by. Good luck in the giveaway! The variety of the novellas is so fun. There is something for everyone from very dark to light and funny. All heat ranges as well! Hope you enjoy it! Us, too! We're thrilled. I'll give you another bit of inside info. Each author has a small item in their story that is connected to the following author's story. Lots of fun :-). Glad to see you here Winnie! When all these authors came together for this set, we were so excited! They're all wonderful and we have had a great time with a lot of laughs. I am so glad you stopped by and that you are looking forward to the Twelve Shades release! Oooh that looks like a great group of authors in the boxset! Fate... well one time I was not sure if I wanted to go out with my mom and sister, but finally decided to go... we travelled down the road and were stopped at a light. We started to go and something made me look to the right... a car was barreling past the other cars and heading straight for us... I screamed and my mom sped up... we were still hit and spun completely around... but the medical personnel said we were lucky... if we were hit between the doors... things would have been bad... my sister had whiplash & I had a contusion on the hand and hit the side of my head, but things turned out fine except the car was totaled. I still wonder if something told me to go to avoid something worse... I think some angels were watching out for us. Wow, Colleen! So glad that your intuition kicked in when it did and that you were all safe. Cars can be replaced. I always feel like people who survive things like this are fated to do wonderful things in the future. Go for it! Ooh, that gives me shivers. I do believe that someone was watching out for you. Thanks for sharing your story, Colleen. I can't wait to read this! Several of my favorite authors are included, and I'm looking forward to finding some new favorites! I don't know if this is fate or just funny: One day I was telling my mom that I was just going to be a crazy cat lady because I just couldn't find the right guy. A few hours later, I met my husband! We're so glad you're excited, Marcy! And there are some amazing stories. Okay, that's a cool story. And I think there's a book there. Thanks so much for stopping by Candace! What a great story--and perfect for romance! That's awesome, Candace! I wish you many more wonderful years! LOL! This is my very first blog and haven't figured out how to get my picture here yet! I'll be happy if the posts go through! I am so excited by this whole event and the anthology! Robin gave me two ways to log on. Let's see what this one does. Hi, Mercedes! I was just notified that you liked my page! You are so sweet! This boxed set is awesome. I've read some of the stories and now I can't wait to read the rest! I always find one to fit my mood, which I love! I'm so happy you stopped by today! So glad you stopped by, Mercedes. Glad the anthology sounds intrigued. I think it's so neet how you two gals met. I've always wondered about that story. I'm so excited about the anthology launch ! Yes, Angi, it was definitely fate! We both love teaching, plotting, figuring out villains, etc. My husband just shakes his head at some of our phone conversations! I love the trailer you and your family made for the anthology! It is super! I cannot believe that the launch is almost here. Hmmmm. Speaking of fate, you and Robin Perini are distant cousins. Did you know that before you met as writers? Nope. My aunt married her uncle. But I'd known her grandparents for years without ever meeting Robin. Now, the two of you are great friends and writing buddies. It's amazing. You even both write for Harlequin Intrigue. It's a very small world. I can't wait to read your novella! Thanks for stopping by, Angi! Trying again to get my picture up. I know! My jaw dropped when Robin read the list of names! So exciting! I can't wait until the release! Three more days! This has been an amazing experience. I'm so glad you stopped by! I can't believe the names either! What fun! I think my husband and I were fated to meet. But not until the exact right time. We'd both worked in the same relatively small office building for 4 years and never once ran into each other in the elevator or cafe. Both of us had been in relationships over the course of that time, but we never met until we were both single. I love that story! I have heard things like this! It's perfect that you didn't meet until you both were free. But, four years in the same place without really knowing each other is amazing. That's great! I met my long time friend in college. We took photography together and stayed late one night to work. The pipes burst and we ended up dealing with a huge mess all night long. We didn't know each other well before that, but we definitely did by morning! Friendships are fantastic. So glad you have a good one! Thank you for dropping in to visit us! Sometimes it's the right place, right time, and just the right connection. Fate or stars aligning...or something else. Who knows, but I'm glad I met Claire. Absolutely! Robin and my husband are my computer gurus! I would be lost without them. Robin is definitely a kindred spirit. When we're plotting, we even scare ourselves, then get all excited that we did. Sick, I know. But fun! Congrats Robin, Claire, and Angie on the anthology!!! This is the first I've come across it and it's definitely going on my want list. Ummm... no real big "fate" moments. Plus, I really don't believe in fate.. in the words of the great John Connor "There's no fate but what we make for ourselves." :) Thanks for sharing! John Connor's sentiment is actually very much how I feel. Just like I feel that luck is when preparation meets opportunity. If Claire and I hadn't decided to walk down that hall together, then nothing would have happened. We took a chance, took a risk. You could say that the opportunity happened, and we seized it. That was a pretty daring move since we were both basically introverts at that conference! It worked out well! Totally love the JOHN CONNOR QUOTE. Your Boxed set looks inviting! An interesting collection of writers. Thanks, Janet. It was a lot of fun. I feel blessed to have been involved. These authors are fascinating, funny, talented women who like to flirt with the woo woo side! It's amazing to see all the different directions the stories took, even when using a similar element like Max Midnight. I love the variety and am so thrilled I was able to be part of this anthology! I hope you enjoy it! I think just meeting people under different circumstances than normal. I agree, Mary. When a opportunity strikes, we must seize it. But the fun of paranormal is we can really stretch those 'what ifs'. Mary, so happy you stopped by! It's always fun meeting new people you really click with and want to keep in your life. Both my sister, Barb, and my boss recently made excellent, bonding friendships on airplanes! In my sister's case she's still getting together with another couple she met on a cruise ship years ago! You just never know when someone wonderful will come into your life. Thanks for coming into ours today! I was making a little more than minimum wage with a college degree. I felt that when my cousin and two uncles passed away, fate was deciding that I should try finding another job so I could be independent of my parents. In some way, I think my cousin and my two uncles were opening doors of opportunity for me. What a wonderful thought, Kai, that your cousin and uncles were opening doors of opportunity. Still, YOU are the one who made the move. That's so important to watch for opportunities and then go for them! Congratulations! I'm glad it worked out well for you! That's a great story, Ada. One good turn deserves another and your volunteering paid off in wonderful ways! My job came about the same way! It's so fun when everything works out well! Thank you for stopping by to visit Robin and I today! Or, I should in the middle of the night! 3:31 am. I'm normally a night owl, too. Isn't that the greatest time? I'm really looking forward to this box set, for the authros I know and the ones I'm going to get to know! I love this and perfect timing for Halloween!!! I went back and saw that you wanted a moment of fate (don't know how I missed the red print)! I think sometimes we don't see when fate has stepped in, but I have to say there have been moments that I just knew I was in the right place at the right time to meet the right people. When I went into labor with my first child I was expecting everything to be normal, but ended up with an emergancy c-section. I had the greatest nurse that day...and it wasn't even her day to work. She was covering for someone who's twin was getting married and since she was a twin she took the shift to help out. It was her calmming and caring manner that let me know that everything was going to be ok when she walked n to let me know we were going ahead with the c-section. Thanks, Sylvia! I'm glad that you're looking forward to the anthology. Given the paranormal elements in the story, it just seemed perfect to release the Twelve Shades set right before Halloween. That has always been one of my favorite times of year. Thank you for sharing your story with us! I am so glad that you had that wonderful nurse to step in and calm you during a scary time! I have three sisters who are nurses and this is what they are like, too. Nursing is tough, but the rewards are great. Being there to help you that day was probably a very joyous moment in that women's life. So touching. Hi again, Candace! Prizes are always fun! All twelve authors in the anthology are giving away a lot at our 12 Shades shindig on 10/29/14. Hope you can make it! Also, there is another rafflecopter giveaway for $100 that you can enter once a day! Good luck! I can't wait to get my hands on this one! So many awesome authors!!! That's great to hear, Amanda! This is an exciting line up of authors and most have their roots in some form of romantic suspense. That said, the light and darkness levels--not to mention the heat factors--are all over! Hope you find some that really appeal to you! I have different novellas I'm reading, depending on my mood. So fun! Thanks for dropping in! What a great group of authors. An exciting group of authors. I really love Robyn Peterman's books. She writes such fun stories!!! So glad you stopped by, Janet! We're very excited about all the opportunities! Robyn Peterman is so much fun! She and Dakota Cassidy are hosting our shindig on Wednesday. Dakota is another funny author whose novella you might want to check out. When they get together, watch out! Zaniness reigns supreme! Enjoy and thanks for coming by to visit! Thanks, Brooke. Isn't it amazing how one little decision can change your life! I'm so glad you found your love :-). Makes my heart warm. Good luck in the giveaway. Brooke, that is a great love story! So happy for you! Great looking box set.. Great Authors too some new to me.. It's been an honor for me to work with everyone. So excited about it! Thanks for stopping by. Good luck! Teena, we are really happy about the mix of authors in this boxed set. We wanted to have something for everyone and all the authors had a new idea they wanted to try that was in a slightly new direction for them. Well, okay, sometimes a drastic new direction, but life is meant to be an adventure. So happy you stopped by and I hope you enjoy the anthology. I'm thrilled that you entered and that you're coming to the FB party, too! It will be my first party as an author, so I'm kind of excited, to say the least! This was my first blog, too, so you are getting to share lots of firsts with me. I'm so grateful! Our party hosts, Robyn Peterman and Dakota Cassidy are always fun and I have no idea what to expect. There are so many giveaways happening, too, so it should be fun. Thanks again for stopping in here and I look forward to "seeing" you at the party in a few days! Good luck! Well you guys, Claire and I have had so much fun. Thanks for sharing your amazing lives with us. We look forward to seeing you at the 12 Shades Shindigorama... please do come by: CLICK HERE. There will be tons of fun and giveaways. And don't forget to enter the Rafflecopter Giveaway. There are books galore plus a $100 gift card. CLICK HERE. Thanks again for stopping by! We really had a blast! Looks like a great series, can't wait! Hi, Jessica J., the anthology released today and we're so excited. Tomorrow is our party with lots of prizes and we had some wonderful events coming up over the next few days. You might want to check our Twelve Shades of Midnight page for links. If you're a writer, you may want to read the fascinating article on the marketing, writing, promo and personal aspects that constitute an anthology. A lot of the information is equally applicable to single releases. It's fun to see behind the magic curtain. Hope you take a peek! Max Midnight is bit of fun we did in our stories. The name can be anything from a throwaway comment, an item, or some type of character, human or otherwise. In some novellas, like mine (Midnight Renegade), Max Midnight is very integral to the story. Trish McCallan's Max triggered a few more books to come! I hope you have some fun spotting our little easter eggs. Enjoy the novellas and have a wonderful day! Thank you to the wonderful Maureen Miller for having us on her blog. Robin and I had the best time being here with all of you! Thank you for sharing your time and your comments! You have all been amazing and so welcoming. You made my very first blog so much fun! A great idea for a great cause....can't wait to read this collection. A big thanks to each author contributing to this set of stories.